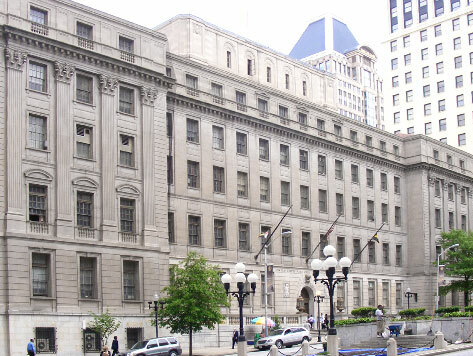 The Baltimore City Circuit Courthouses are located in downtown Baltimore, and consists of two buildings – the Clarence M. Mitchell, Jr. Courthouse and Courthouse East. The courthouses house the 30 judges of the 8th Judicial Circuit for the State of Maryland, and serve as criminal, civil, and family courts. Also located within the buildings are the offices of the State’s Attorney for Baltimore City, Clerk of the Court, Baltimore City Law Library, Sheriff’s Office, Baltimore Courthouse and Law Museum, Pretrial Division of the Maryland Division of Corrections, pretrial detention lockups, jury assembly rooms, land records, court medical offices, and Master hearing rooms.